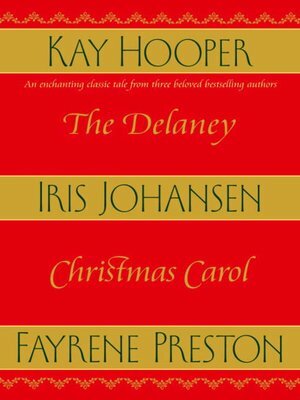 This Christmas, celebrate the joys of the season with a trio of exquisitely crafted, richly romantic tales by three of the brightest stars in contemporary fiction—bestselling authors Kay Hooper, Iris Johansen, and Fayrene Preston. Filled with passion, drama, and a touch of magic, this festive gathering of classic stories—available for the first time in ten years—tells about the lives and loves of one unforgettable family and the enchanted heirloom that links one generation to the next. Killara, Arizona, 1893. Kevin Delaney had heard his share of tall tales, but none could match the one told by the Gypsy beauty he found rummaging in the attic of Killara, his family's estate. The waif claimed to have traipsed halfway around the world simply to recover an old, long-forgotten mirror. But Zara St. Cloud knows it is no ordinary mirror—and she can see that the striking Delaney is no ordinary man. While he doesn't believe her talk of mystical relics and fortune-telling, there's no doubt that a kind of magic is at work on his heart—just in time for Christmas. A heartbreaking vision in the legendary Delaney mirror drove Brett Delaney to the other side of the world years before. Now his father's death brings him part of his inheritance: the mirror—and the unbearable prophesy it offers sends him home to Killara this Christmas, determined to save the home he loves and the woman he's always loved.